When it comes to baked potatoes, there's plenty of ways to dress them up or keep them simple for a hearty, starchy side. 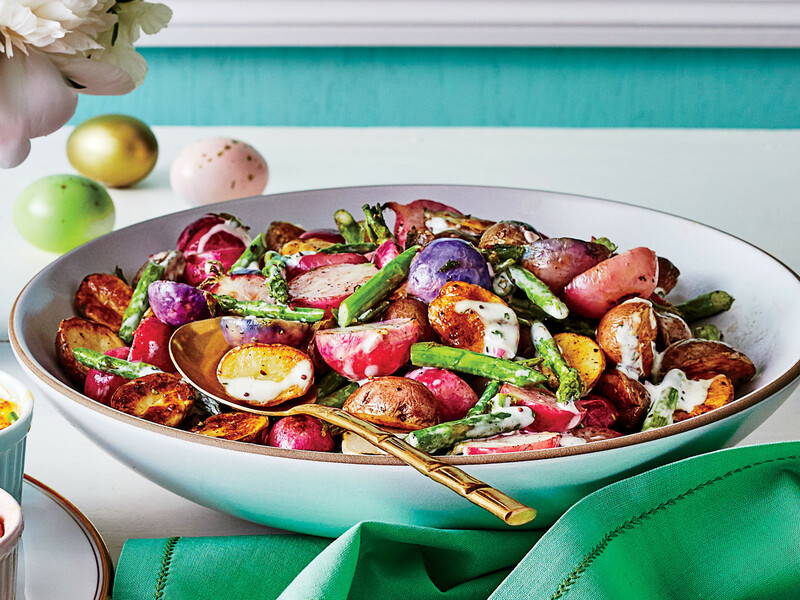 Whether you're looking to pile on the toppings or go for something easy and uncomplicated, we've got plenty of delicious baked potato recipes for your all your spud desires. We'll take our baked potatoes loaded up with cheese and pepperoni! In Step 1, the potatoes can also be cooked in the microwave, but we prefer the crisp texture of the skins after baking in the oven. Take the traditional baked potato and raise it up a few notches by swapping it out for a sweet potato and stuffing it with some great ingredients like bacon and sour cream. The flavor of this potato is fantastic and the sweet potato offers tantalizingly good flavor. Set up a top-your-own potato bar at your next family movie or game night. For a main dish, split the potatoes from the top, and open slightly; pile on more toppings, and enjoy the entire potato. To save time, you can also microwave the potatoes until tender: Pierce the potatoes liberally with a fork, and microwave at HIGH for 13 minutes or until tender, turning after 7 minutes. This is my updated version on the classic sweet potato casserole with marshmallows. I recommend one small potato per person, but with a meal like Thanksgiving, you could get by with less (unless no one wants to share--we understand). Prep: 10 minutes; Bake: 1 hour 5 minutes. Smashed Yukon Gold Potatoes with Gorgonzola and Sage are a cheesy treat to complete your meal. For a milder flavor swap, use goat cheese or feta cheese instead. Cheddar, bacon, and sour cream make up the All-American Baked Potatoes. 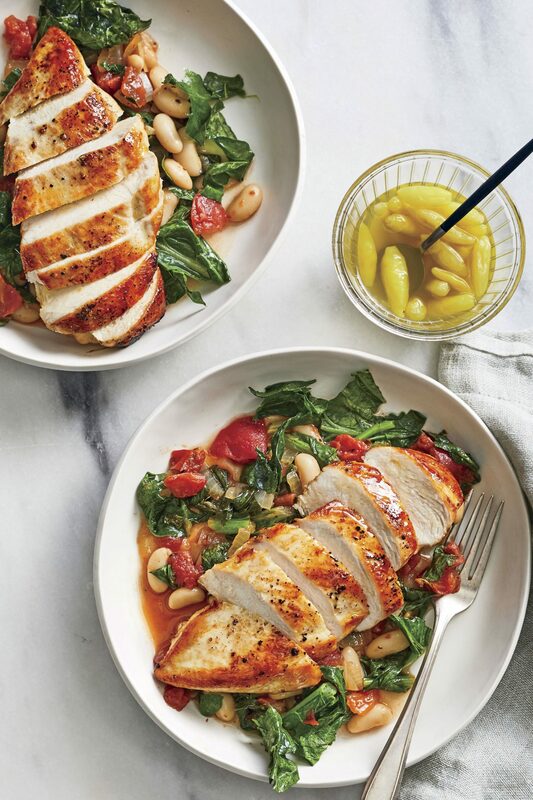 A simple one-dish weeknight meal doesn't get any better than that. Tex-Mex Baked Potatoes have all the ingredients of your favorite Southwestern meal. These stuffed spuds are a great weekenight choice. 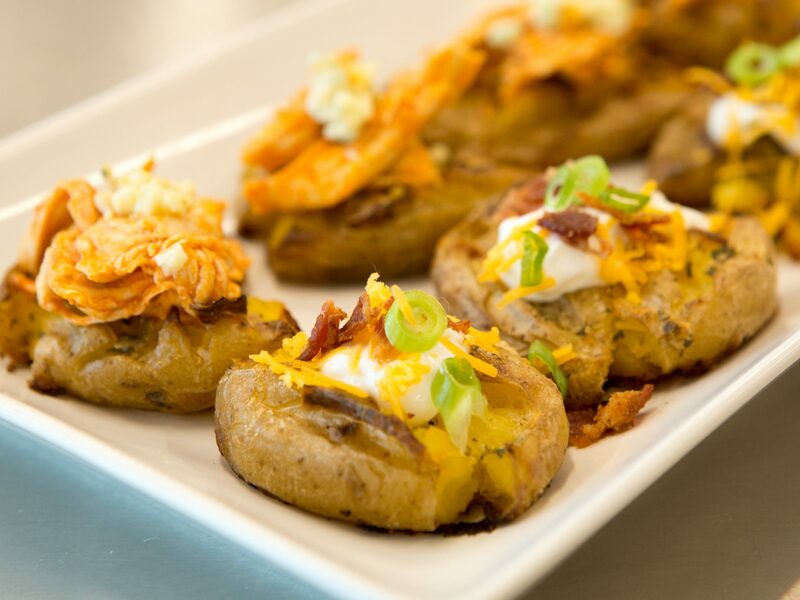 Twice-Baked Potatoes Four Ways allow you to pick your favorite filling for these savory delights. Make these sweet potatoes a savory affair by topping them with a creamy and delicious spinach topping. The spinach makes a hearty (and healthy!) 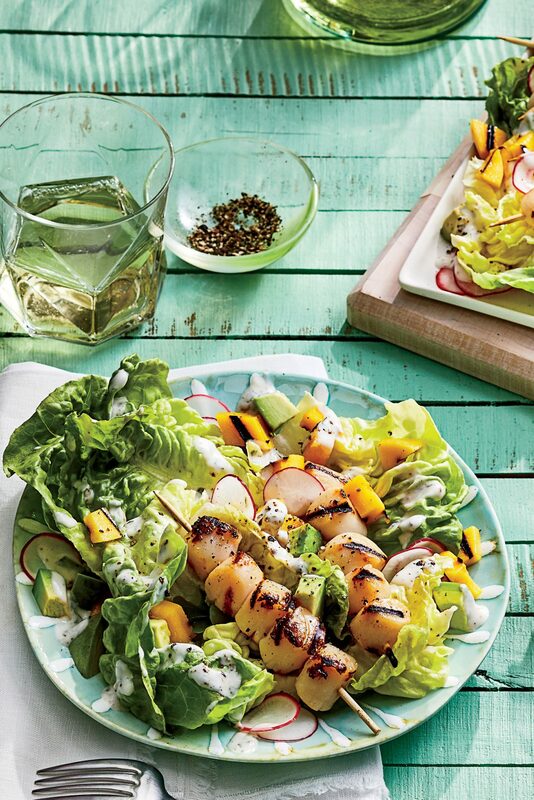 addition and offsets the creaminess, working in tandem with the sweet potato to deliver a truly delicious and nutritious meal or side dish. Baking the potato in the microwave makes this dish a snap to prepare. Fontina, mozzarella, or even Parmesan would work in this dish. 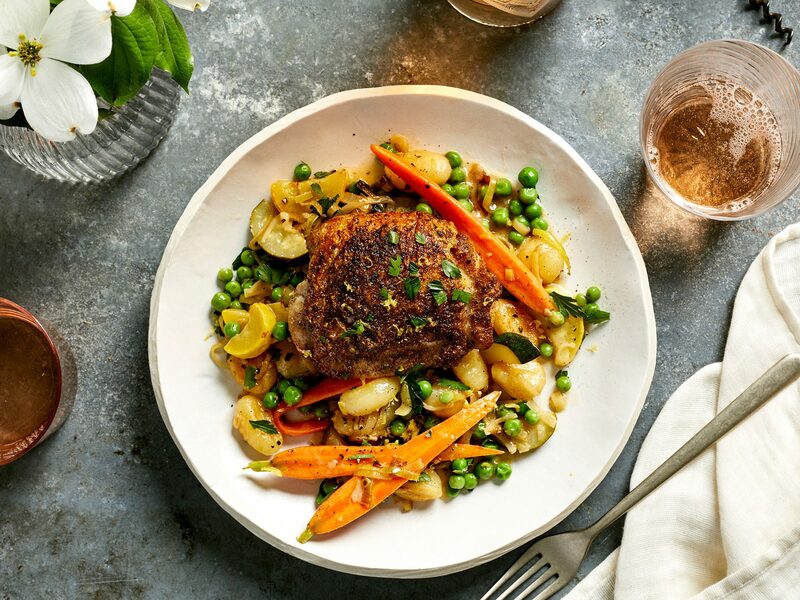 Serve with filet mignon or flank steak. 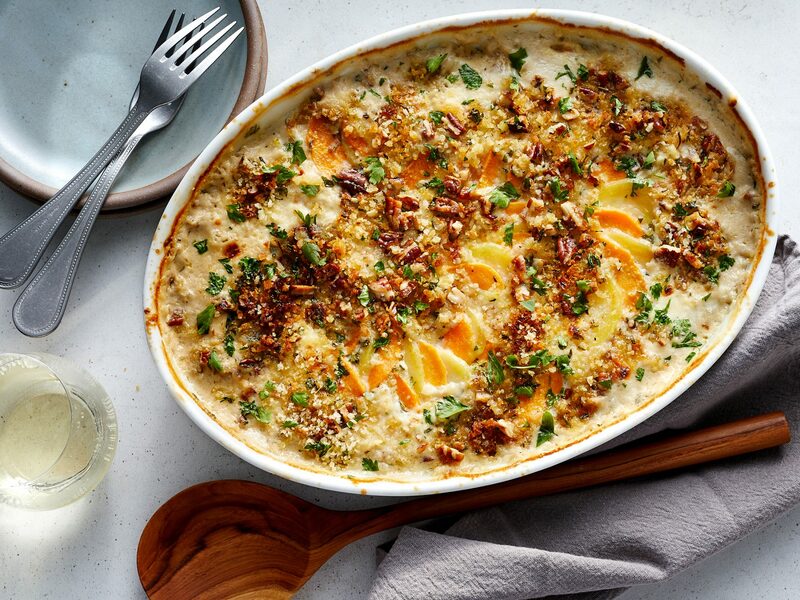 This is a decadent yet savory way to serve sweet potatoes. If you're expecting vegetarians, make a couple of potatoes without the bacon. One potato can be enough for at least four people, depending on its size. 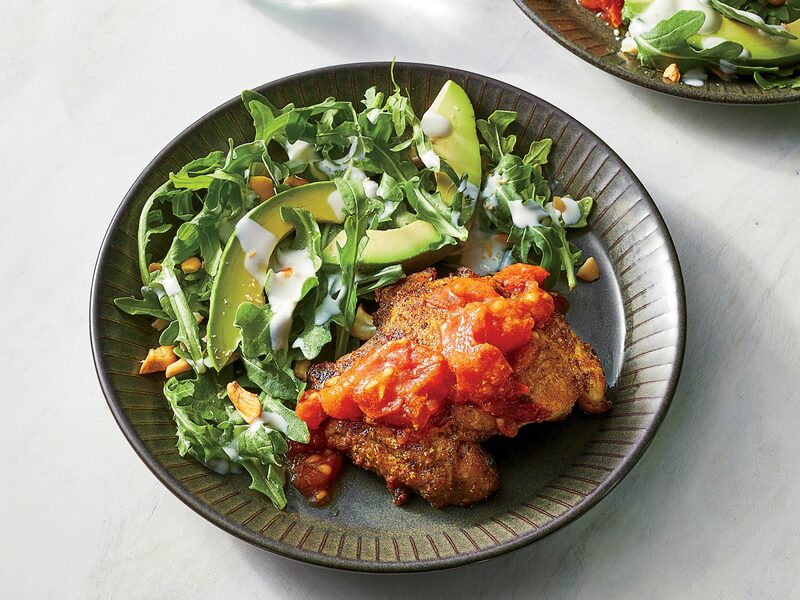 Give these sweet potatoes a flavorful kick by adding some cinnamon-seasoned chicken and cashews. Dried cherries and raisins also elevate the texture in this topped potato to a perfect savory-sweet terriroty. This recipe, adapted from one served at Stockholm's popular old Restaurant Hasselbacken, proves just how easy and delicious potatoes can be. For best results, choose oblong potatoes of uniform size and trim if needed so they'll lie flat without wobbling as you cut into them. Prep: 15 minutes, Bake: 55 minutes. You can top your stuffed potatoes with any type of 'cue.